Safety/Quality Approvals: SAE J827 Cast Steel Shot, ISO11124-3High Carbon Cast Steel Shot and Grit. YB/T5149-1993 Cast Steel Shot, SFSA20-66Cast Steel Abrasive. Our steel shot is made from chrome alloy materials which are fast atomized after melting. Chromium(Cr) is used in constructional alloy steels primarily to increase hardenability, provide improved abrasion-resistance and to promote carburization. Bestar Group Co., Ltd. is one of the biggest manufacturers of metal abrasive in China and we integrate technical research, development and production together. We are cooperating with Material Science & Engineering College of Shandong University and are guided by experts and professors in the metal abrasive field. 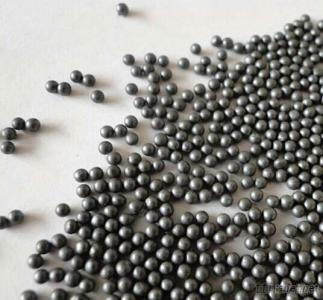 Our company has developed 8 series products including cast steel shot, cast steel grit, steel cut wire shot, stainless steel shot, stainless steel cut wire shot, aluminum shot, zinc shot, copper shot, and 80 kinds of abrasive products. Our company could produce 150, 000 tons of metal abrasive per year. Relying on 200 million Yuan (RMB) of fixed assets, with a yearly turnover of 500 million Yuan (RMB), we are in charge of overseas sale of steel shot and steel grit. Steel Grit: G10, G12, G14, G16, G18, G25, G40, G50, G80, G120. (0.2-3.0mm). Steel Cut Wire Shot: CW1.0mm, CW1.5mm, CW2.0mm, CW2.5mm. 304 Austenite Type, 430 Ferrite Type and 410 Martensite Type Stainless Steel Cut Wire Shot, Aluminum Shot, Zinc shot and Copper shot.